Inbox Zero is one of the most popular buzz words in the productivity community. Apps like, the popular iPhone email client, Mailbox Take Your Inbox Box To Zero With Mailbox For The iPhone Take Your Inbox Box To Zero With Mailbox For The iPhone The default Mail client for the iPhone has become in my opinion outdated, or it's certainly not as advanced as the hardware it resides in. Mail is not fun to navigate, and its latest features... Read More make it easy for you to quickly deal with all the emails in your inbox. If you’re really overloaded, you can even use a service like Mailstrom Buried In Emails? Shrink Your Massive Inbox To Zero With Mailstrom Buried In Emails? Shrink Your Massive Inbox To Zero With Mailstrom We've offered a number of solutions through the years to manage your Gmail account and to clean up a cluttered inbox. Nothing is more convenient than a central online solution like Mailstrom. Read More to bulk delete emails. The idea of declaring email bankruptcy — simply deleting everything and starting over — is being given serious consideration in some circles. Why your inbox is overflowing in the first place. What your relationship with email is like. Most of the conversation around email overload fails to draw a distinction between wanted and unwanted email. Treating every item in your inbox as a target to be cleared ignores the reality of the situation. An email from your boss giving you feedback on a presentation is clearly not the same as an email from Groupon offering deals in the city you left last year. Likewise, an email from an old friend is probably welcome, while an email from Facebook telling you that the same friend tagged you in a photo is probably not. If you have one hundred emails sitting in your inbox, all of which you wanted to receive but just haven’t dealt with yet, you have a time management problem that no email app can solve. If you have ten unwanted emails in there instead, you have an email problem, but again, no email app will solve it for you. For most people, the two most frequent causes of unwanted email are social media notifications, email newsletters and redundant work emails. If you are a public figure you may also be subjected to a significant amount of unsolicited fan-mail or requests for advice. 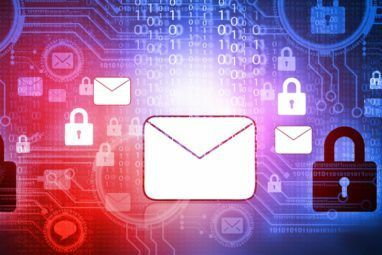 Spam is no longer the problem it once was, if you are using a modern email service like Gmail, you will very rarely see spam in your inbox. 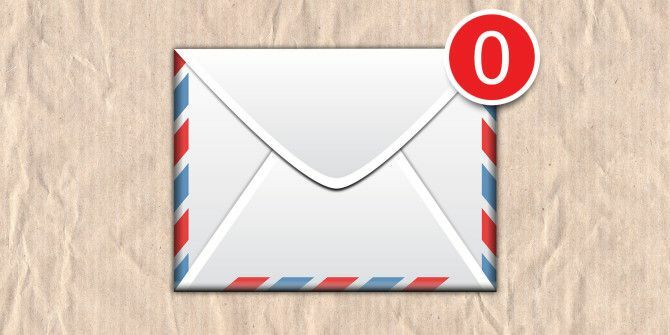 Inbox Zero, as a concept, also fails to address most people’s relationship with email. Having an empty inbox because you check it every 20 minutes, or every time you get a notification, and respond to everything immediately is hardly a good thing. Similarly, if you’re spending 4 hours a day in back and forth email exchanges, you’re not being productive even if you reach inbox zero at the end of the day. Ivan Pavlov was a Russian Nobel Prize winning scientist famous for his work on classical conditioning. By ringing a bell every time he fed a dog, he was able to get the dog to salivate even without food being there. As a psychology graduate, I now salivate every time I talk about Pavlov! The crux of classical conditioning is that the more times a stimulus is followed by a response, the harder it is to separate them. Every time you check your emails first thing in the morning, or when a new notification comes in, you are conditioning yourself to keep doing the same thing. To truly go beyond inbox zero, you need to achieve control over how you receive and respond to email—you need to break the Pavlovian cycle. An empty inbox is merely a possible step on the road to achieving this. Fortunately, solving unwanted email overload and the Pavlovian relationship is easily done. There are a couple of simple principles that if you put into practice will ensure that you want to receive almost all the email, and that you have control over when and where you check it. To solve the social media notification problem, I use the idea of non-overlapping silos. All Facebook notifications should stay in Facebook—end of story. They should not appear in my email inbox, in my phone’s notification menu or anywhere other than Facebook. No Facebook notification will ever be as important as an email from my editor, so they shouldn’t be given the same treatment. Spend 30 minutes logging into all your social media accounts and unsubscribing from every notification email. You may be surprised at how many checkboxes you need to uncheck. My fellow MakeUseOf writer Justin has written a great article on how to stop annoying social media emails with NotifyMeNot. NotifyMeNot takes you through the steps to unsubscribe from all major social networking site’s email notifications. The newsletter problem is a little harder to deal with. The problem is that, in many cases, you actively signed up for a newsletter because it contained information you wanted to receive. If you’re a digital hoarder like me, you may try to convince yourself that you still want to get those daily Groupon deals. The principle of deal or delete helps you overcome these hoarding instincts. Set aside 15 minutes every day to go through all the email newsletters in your inbox. For every one, you have to read it in full, or unsubscribe. If you won’t read it during time set aside for doing just that, you never will. Over the course of two weeks I unsubscribed from almost three quarters of the newsletters I’d subscribed to. Now every time I see unread newsletters start to creep into my inbox I reinstate deal or delete. For many people — including me when I’m not careful—checking email is a reflexive action. If you’re not actively doing anything, or distracted for a split second, you open up your inbox and check your emails. While it might not seem like a big deal, it breaks your flow and you may be shocked at how long you are actually spending checking email How to Beat Email Addiction by Tracking Inbox Habits How to Beat Email Addiction by Tracking Inbox Habits Email is hijacking your days, and it's being sneaky about it. You can regain control over your time. Figure out how much time you devote to email right now and steal it back. Read More . Far better, as my fellow writer Akshata recommends, is to assign set times and only check email then. I’d go further and suggest, that to address both email overload and the Pavlovian relationship — set a max email time. If you are midway through responding to an email when your time is up, save it to drafts and pick it up the next day. Pick one or two times to check email per day and work out how long it takes you to deal with your important emails; this is your max email time. Anything over 45 minutes is probably too long. Only check email at those times and do not exceed your max email time. If you are midway through responding to an email when your time is up, save it to drafts and pick it up the next day. 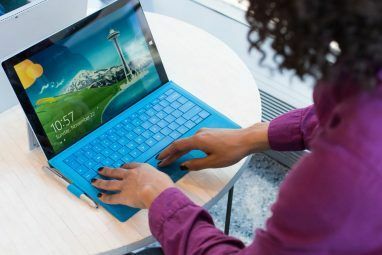 While this is an extreme solution, if you set a reasonable max email time, you will be able to deal with all the truly important emails while ignoring those that are merely urgent. If you are unable to deal with the volume of emails, you need to use some of the principles in this article to cut down on the amount you are receiving. Some people won’t have the luxury of declaring that they only check email at certain times — if you’re one of them, you can still address incessant email checking. Throughout the day there will be times when you must check your email; perhaps your boss has asked if John sent over a report. But there will also be times when you are just checking it for no real reason. If you are unable to set times to check emails, every time you look at your inbox ask yourself why you are doing it and write the answer down in a text file or on a sheet of paper. Tally up all the good reasons — “boss asked me to”, “away from desk for an hour” — and all the bad reasons— “procrastinating”,”on the phone and browsed to it”, “responding to a notification” — at the end of the day. The aim is to minimise the number of bad reasons. Once you are aware of why you are checking email, you can ensure you only do it when there is a clear reason to do so. If you’ve put into practice all the previous principles and you are still being snowed under with emails, you need to address the inputs. The main remaining source of unwanted email is from trigger-happy coworkers; there are two stages to addressing it — the first is to change the emails you send, the second is to talk to your coworkers. Consider every email you write. If it is a one-word email like “perfect” or “thanks” don’t send it; if you act on the information in the email you received, it’ll be apparent that you read it and so the confirmation isn’t needed. If there is any ambiguity remove it; rather than asking if someone is free in the afternoon, ask if they are free at a set time. If there is potential for back and forth, pick up your phone and call instead; what might take five emails to hammer out can take less than a minute on the phone. Consider every email you write. End your emails by saying what you expect of the recipient. Inform them that you won’t be checking for a reply but will assume they will start working on what you’ve sent over. Make sure to provide them with all they will need so they don’t need to come back to you. Once you’ve structured your emails so that you are not responding unnecessarily and are minimising the need for others to respond, it’s time to talk to your colleagues. Starting with the worst offenders, politely ask not to be CC’d into emails unless they are important and relevant. Similarly, ask that, where possible, people reply only to the sender rather than hit reply all. If you are well known, or perceived as an expert, you will get email from strangers asking for advice. The key to dealing with these sort of emails is to consider whether they are wanted or unwanted; while it may be a burden to spend an hour a day replying to unsolicited requests for advice, if these people are potential, or current, customers, then you probably want to be hearing from them. If, on the other hand, you stand to gain nothing by responding, you need to consider how they have access to your email in the first place. If it is posted publicly on your website, remove it. 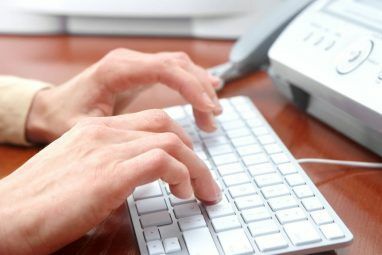 If you can’t, and the volume of emails is unmanageable, you can consider delegating all unimportant email tasks to an assistant, virtual or otherwise. Most days I receive email from people who have read tutorials that I wrote. While waking up to a tirade explaining why Software X is better than Software Y and that I’m an idiot for writing about Y is unpleasant, on balance, I love to receive feedback from people who’ve read my work; I’ve got great ideas for follow on tutorials from their questions. Inbox Zero is a great idea in principle but it fails to address the crux of the email issue: making sure you only get email you want to receive and that you deal with it on your own terms. Spending any amount of time deleting social media notifications, unread email newsletters and unnecessary work emails just to reach Inbox Zero is pointless; far better to take a few minutes a day for a short while and apply some of the principles in this tutorial and address your relationship with email once and for all.